The maker of the will is known as the testator. A will can be changed, modified, or revoked at any time by the testator prior to his or her death. A will is perfectly valid if it is written in plain English and does not use technical legal language. However, you must prepare and sign your will in the manner outlined later in the instructions and have witnesses and/or a notary public also sign the document. The benefit of having a Will is to allow the Testator to still have legal bearing and control on how their property will be distributed after their death. Without a will, state law decides who will get what. Legal document that is used to pass on your assets to your beneficiaries upon your death. Living Wills Allows an individual to decide ahead of time what should be done for their health in the event they no longer can make decisions because of illness or incapacity. Statutory Wills The Statutory Will is a simple will that allows a person to decide the distribution of their estate at their death. Wills for Married Persons With Minor Children Will with Trust for married persons with minor children. Beneficiary Questionnaire Kit This kit includes tools to help you to identify the beneficiaries you wish to name under your will. Property Questionnaire Kit This questionnaire is designed to help you prepare an inventory of all of your assets and liabilities for use in preparing your will. Wills for Widows and Widowers With No Children This Last Will and Testament is for use by a widow or widower who has no children and has not remarried. Estate Planning for Married Persons With Minor Children Get 7 forms for just $39.95. Save 63%! Collection of forms necessary for married persons with minor children to plan their estate and to protect their rights and those of their family. Estate Planning for Married Persons With Adult Children Get 5 forms for just $39.95. Save 49%! This combo contains easy to understand instructions and model forms specifically designed for use by married persons with adult children when planning their estates. Estate Planning for Married Persons With No Children Get 5 forms for just $39.95. Save 49%! This combo includes an advance health care directive, power of attorney, will, organ donation and more and is designed for use by married persons without children. It provides the instructions and estate... Estate Planning for Single Persons With Adult Children Get 5 forms for just $39.95. Save 49%! This Estate Planning Combo Package is designed for a single person with adult children and contains the forms necessary to plan your estate. Estate Planning for Single Persons With Minor Children Get 5 forms for just $39.95. Save 49%! Designed to create an estate plan for use by a single person with minor children . Includes the instructions and forms to tailor to your unique situation and includes a will, durable power of attorney,... Estate Planning for Single Persons With No Children Get 5 forms for just $39.95. Save 49%! Collection of forms necessary for a single person with no children to plan their estate. Estate Planning for Divorced Persons With Adult Children Get 7 forms for just $39.95. Save 63%! This Estate Planning Combo Package for a Divorced Person with Adult Children contains the necessary forms to plan your estate. Estate Planning for Divorced Persons with Minor Children Get 7 forms for just $39.95. Save 63%! This Estate Planning Combo Package for Divorced Persons with Minor Children contains the necessary forms to efficiently plan your estate. Estate Planning for Divorced Persons With No Children Get 7 forms for just $39.95. Save 63%! This Estate Planning Combo Package for a Divorced Person with No Children will assist in planning your estate and ensuring that your wishes regarding disposition of your assets are carried out. Estate Planning for Couples With Adult Children Get 7 forms for just $39.95. Save 63%! This Estate Planning Combo Package is for Couples with Adult Children and will ensure that your wishes regarding disposition of your property are carried out according to your wishes. Estate Planning for Couples With Minor Children Get 7 forms for just $39.95. Save 63%! This Estate Planning Combo contains a variety of estate planning forms including a Mutual Will for a Couple with Minor Children. Estate Planning for Couples With No Children Get 7 forms for just $39.95. Save 63%! This estate planning package has the documents you need to protect yourself and your loved ones if you are you a couple with no children. Estate Planning for Married Couples With Adult Children Get 7 forms for just $39.95. Save 63%! For use by married couples with adult children when planning their estates. It contains easy to understand instructions and model forms you can tailor to your unique needs, while ensuring compliance with... Estate Planning for Married Couples With Minor Children Get 7 forms for just $39.95. Save 63%! Specifically designed to create an estate plan for use by married couples with minor children. This combo includes the instructions and forms to tailor to your unique situation and includes a will, durable... Estate Planning for Married Couples With No Children Get 5 forms for just $39.95. Save 49%! This Estate Planning Combo Package for a Married Couple with No Children contains the necessary forms to assist in planning your estate. Estate Planning for Widows and Widowers With Adult Children Get 5 forms for just $39.95. Save 49%! This Estate Planning Combo Package is designed for use by a widow or widower with adult children. Estate Planning for Widows and Widowers With Minor Children Get 5 forms for just $39.95. Save 49%! This Estate Planning Combo Package is designed for use by a widow or widower with minor children. Estate Planning for Widows and Widowers With No Children Get 5 forms for just $39.95. Save 49%! This Estate Planning Combo Package is for use by a widow or widower who has no children. Living Trust Forms for Married Couples With Children (Combo) Get 3 forms for just $39.95. Save 33%! Save Money by getting our popular Living Trust forms together in one convenient packet. Living Trust Forms for Single Persons or One Spouse With Children (Combo) Get 3 forms for just $39.95. Save 33%! Save Money by getting our popular Living Trust forms together in one convenient packet. Living Trust Forms for Married Couples With No Children (Combo) Get 3 forms for just $39.95. Save 33%! Save Money by getting our popular Living Trust forms together in one convenient packet. Living Trust Forms for Single Persons or One Spouse With No Children (Combo) Get 3 forms for just $39.95. Save 33%! Save Money by getting our popular Living Trust forms together in one convenient packet. Although much of our usual daily business is spent focusing on ourselves (and for good reason, in most cases), for many of us, we are not the primary focus of our lives. Instead, our children are. To good parents, not only is it important that they raise their children right and raise them so they’re able to provide for themselves, but it’s important to make sure that they’re taken care of for decades to come. The reality, of course, is that eventually parents pass on. And in some cases, tragedy strikes and children are forced to look out for themselves far sooner than they ever thought they would. That’s why it’s so crucial to address the question of your child’s care in your absence even if you’re young and don’t have any health issues – you never know what life will bring. Admittedly, that part of the story is a downer. But there’s good news, too: you can do something about it. You can find the legal forms that will guarantee your kids are taken care of even long after you’re gone. Let’s take a look at just a few of those legal forms so you know which page on FindLegalForms.com to visit next. The will is the most obvious legal form for addressing what needs to happen after you pass on. If you’re a parent writing a will and your children are still minors, you’ll want to use your will as an opportunity to name legal guardians in the event of your untimely death. This, of course, is not a decision that is as simple as downloading a form – you need to do some thinking about who you would name as guardians. And you would need the permission of the people you intend to name as guardians in absence, as well. The will is also an opportunity to leave aside large portions of your estate to your children, especially if your children are older and will be able to manage these sections of your estate after you’ve passed. Your will should be a comprehensive directive that addresses exactly what you want to happen to your money after you are gone which is why it’s such a vital part of planning for the future care of your children. There’s another powerful tool for taking care of your children after you’ve passed on, and this one primarily deals with finances: the trust. For some parents, establishing a trust in a child’s name (even an adult child) is a great way to provide for their future financial well-being. A trust can be created, for example, to provide the financial care for a person with special needs thus ensuring that even when mom and dad are gone, that special needs individual will have the finances necessary to live the fullest life possible. It’s important to explore your options, so be sure to check out the different legal forms you can download from FindLegalForms.com – you’ll learn more and you’ll have a much more comprehensive understanding of the potential decisions you can make. Your Last Will and Testament is one of the most important documents you will have to maintain through your life. Sure, other documents will be important - mortgage agreements, promissory notes, licenses, etc. - but your will doesn’t only affect you, but the people that you love the most. In some cases, the failure to leave behind an adequate will has caused rifts in families, leading to damage that the deceased never truly intended. That’s no way to leave your estate behind, and that’s why it’s so important that your last will and testament be comprehensive, thoughtful, and legally-binding. Many people aren’t sure about wills; they’re wary of the entire process, not quite ready to tackle the deep questions of mortality and what will happen to property after they’ve left. But once you get a basic understanding of the process, it’s really not so scary at all. For example, when you fill out a last will and testament, you can actually start to get great peace of mind because you see exactly how the people you love will be taken care of. Leaving your estate to a spouse, for example, will mean that your spouse is taken care of with the help of assets, passive income, and life insurance money. If you don’t have a spouse but only children, you can help make sure that your children are better off because of what you’re leaving them behind. There are also various legal and financial questions to tackle when you’re filling out a last will and testament. For example, do you want to place certain assets in a trust to protect those assets for someone? It can be easy to transfer a trust once these details have been spelled out and the proper forms have been filed. Last wills and testaments are also a way for people to see how much you cared about them even after you’re gone. You can leave them special possessions and messages that carry a lot of meaning beyond monetary value. You can consult with lawyers and accountants to figure out how to avoid taxes as much as possible so as to leave more money with your family and friends. After you’ve completed a last will and testament, you might start feeling more at peace with your life as you’re living it simply because you’ve taken so much anxiety out of the entire process. It’s the good feeling you can only get after you take action to provide for the ones you love the most. Understanding the legal ramifications of your last will and testament is important, as well. For example, neglecting to leave one behind will mean that your estate undergoes the probate process, in which the courts decide “who gets what,” in a manner of speaking. This means that there could be more potential for family squabbles, in-fighting, and contests in a long, drawn-out process that never needed to take place. Many people who don’t have a lot of money find themselves thinking about wills this way: “if I don’t have a lot of money, what does it matter if I have one or not? It’s not like people will be fighting for my wealth after I’m gone.” But this thought leads to procrastination, laziness, and ultimately inaction - and that’s not the kind of attitude you want to have when it comes to your estate. Even if your estate is not as large as others’. But good wills are important for people whether their personal fortunes are large or small. Why? Because a will tells everyone you leave behind exactly what you want to have done with your estate. It lets the lawyers know how to proceed, and it makes everything smoother for the people who will be mourning you the most. If that’s not reason enough to do your will right, we don’t know what is. How do you do a will right? Well, there are a number of options you have at your disposal. The most obvious option is to consult with a lawyer who has done a number of wills in the past - they’re able to make sure your will has the necessary language in it so as to please the courts who interpret your will after you’re gone. There are ways to find will forms online and handle the process yourself, although it’s generally recommended that you get the in-person touch of a lawyer so you can fully customize what your will ultimately looks like. It’s also important that you have full knowledge of all the assets you control and own. Your retirement income, your assets, your real estate, your property - all of that will need to be included in some way or another because a comprehensive will is generally a good will. The more the will handles, the less the legal process will have to handle after you’re gone - and that’s a direct benefit to the people you leave behind. Making sure your will fits your specifications also gives you more control over your own property - in other words, you get to decide what happens to what. For many people, they couldn’t care less about what happens to their “stuff” after they’re gone. But when you consider the perspective that your family will care, you start to see the importance of it. And if you do really have some possessions you want to see live on in your family, such as handed-down antiques, it’s important that you include these possessions in your will and spell out what is to be done with them. Having a good, comprehensive will is important no matter how much property you have - and is even more important as your estate grows. It’s important, therefore, to keep an eye on what happens to your property after you’re gone while you’re still around to have a say in it! Abatement: A reduction or complete extinguishment of a gift in a will where the estate does not have sufficient assets to make full payment. Acknowledgment: Formal declaration before a notary public. Ademption: The withdrawal of a gift in a will by an act of the testator that shows an intent to revoke it. For example; by giving the willed property away as a gift during his or her life. Administrator/Administratrix: One who is appointed to administer the estate of a deceased person who has died without a will or who has died with a will but has not named an executor. The distinction between the two titles (male and female) has largely been removed and administrator is proper usage for either male or female. Advancement: A lifetime gift made to a child by a parent, with the intent that the gift be all or a portion of what the child will be entitled to upon the parent’s death. Affidavit: A person’s signed and notarized statement. Alternate Beneficiary: A person chosen to receive a gift under a will or trust should the originally chosen beneficiary not be available or surviving. Ancestor: One from whom a person is descended. Annuity contract: A form of investment in which the purchaser is guaranteed a certain periodic payment for life or a certain term. Appraisal: Valuation of a piece of property, generally by a person certified to conduct such a valuation. Assets: Any property that you own. Your assets may consist of real estate or personal property. Your personal property may consist of cash, securities, or actual tangible property. Attestation: To sign one’s name as a witness to a will. Augmented: An augmented estate is your estate left under a will plus the value of property transferred by other means, such as joint tenancies and living trusts. The augmented estate is used to calculate the value of a spousal share of an estate in those states that use this concept. Bank Trust Account: A type of payable-on-death account under which the main ac- count holder retains full and unilateral control of the account until death. Same as a Totten Trust. Basic Will: A simple standardized type of will. Beneficiary: One who is named in a will to receive property; one who receives a benefit or gift, as under the terms of a trust. Bequest: Traditionally, a gift of personal property in a will. Synonymous with legacy. Now, gift is the appropriate usage for either a gift of real estate or personal property. Bond:Adocument by which a bonding company guarantees to pay an amount of money if the bonded person does not carry out his or her legal duties. Bonds: A form of investment through which a company is indebted to the holder and, generally, pays interest to the holder. Business Interest: Ownership of any form of business, such as a sole proprietorship, partnership, corporation, or limited liability company. Buy-out Provisions: Contractual terms contained in a business ownership agreement (such as a partnership agreement) that specify the terms under which other owners may be required or have the option to purchase (buy-out) another owner’s interest in the business, often upon the death of an owner. Certificate of Deposit: A form of investment under which a bank issues a certificate indicating that it holds a deposit and will pay a certain rate of interest for a certain term. Charitable Organization: A group that holds a Federal 501(c)3 “charitable organization” tax exemption status, and is able to receive tax-exempt donations. Children’s Trust: A form of trust under which gifts to children may be held in trust beyond the child’s attainment of the legal age of majority. Clause: A separate portion of a paragraph or sentence; an article or proviso in a legal document. Codicil: A formally-signed supplement to a will that is used to alter, amend or revoke provisions in the original will. Coercion: The application to another of either physical or moral force. Common Law: System of law that originated in England based on general legal principles rather than legislative acts. Common-Law Property: Property held by spouse in a common-law state. Can be jointly-held or solely-owned property. The name(s) on the title document is/are the determining factor(s). See Appendix for those states where this system of marital property applies. Community Property: The property acquired by either spouse during marriage, other than by gift or inheritance. Each spouse owns a half-interest in the community property. See Appendix for those states in which this system of marital property applies. Conservator: Temporary court-appointed custodian of property. Contest: Challenge the validity of a will. Corporation: A company formed and authorized by law to act as a single person and provided with limited liability for any shareholders, and endowed by law with the capacity of succession. Curtesy: In ancient common law, a husband’s right to all of his wife’s real estate for life upon her death. Now, generally abolished in most jurisdictions and replaced with a right to a certain statutory share of a spouse’s property. Death Benefits: Money, generally from either insurance policies or pension plans, that are payable to the beneficiaries of a decedent. Deceased: No longer living; A dead person. Decedent: One who has died. Descend: To come from an ancestor or ancestry. Descendant: One who is descended from another. Descent: Inheritance by operation of law rather than by will. Devise: Traditionally, a gift of real estate under a will. Now, gift is the appropriate us- age for either a gift of real estate or personal property. Domicile: A person’s principal and permanent home. Dower: In ancient common law, a wife’s right to one-third of her husband’s real estate for her life upon his death. Now, generally abolished in most jurisdictions and replaced with a right to a certain statutory share of a spouse’s property. Employee Benefits: Money or other benefits that are payable to an employee, such as health-care insurance, travel-expense compensation, etc. Escheat: Reversion of property to the state, if no family member is found to inherit it. Estate: All property owned by a person. Estate Tax: A tax imposed on property that passes to another upon death. Execution: The formal signing of a will. Executor/Executrix: The person appointed in a will to carry out the testator’s wishes and to administer the property. Family Allowance: An amount that is allowed or granted to one family. Federal Estate Tax: A percentage tax that is imposed upon the estate of a deceased person for the benefit of being able to pass the estate to others upon death. In 2002, the first $1 million dollars of a person’s estate value are fully exempt from this tax, as is all estate property that passes from one spouse to another. The dollar value of the exemption is scheduled to rise to $3.5 million by 2009. Fiduciary: A person with a duty of care to another. For example, a trustee has a duty of care to any beneficiary of a trust, and thus, is a fiduciary. Forgery: The illegal production of something counterfeit. Fraud: A deception deliberately practiced in order to secure unfair or unlawful gain. Gift: A voluntary transfer of property to another without any compensation. Grantor: The person who creates a trust. Also may be referred to as a settlor. Guardian: A person with the legal power and duty to care for another person and/or a person’s property. Guardian “of the Person:” Guardian responsible for the actual care, custody, and upbringing of a minor child. Guardian “of the Property:” Guardian who administers the property or money left to your child(ren). Heirlooms: Treasured pieces of property that have been passed down from ancestors. Heirs: Those persons who inherit from a person by operation of law if there is no will present. Holographic: A will that is entirely handwritten by the testator and unwitnessed. No longer valid in most states. Homestead Allowance: A monetary allowance given in some states to spouses and children to insure that they are not abruptly cut off from their support by any terms of a Living Trust. See family allowance. Incapacitated: Being unable to care for one’s self or handle one’s own financial or other affairs. Income Property: Real estate that is held for a commercial purpose; the generation of income. Inheritance: The receipt of property from someone who has died. Inheritance Tax: A tax on property received that is paid by the person who has actually inherited the property. Intestate: To die without leaving a valid will. Intestate Distribution: A state scheme that is used to determine the distribution of the property of any person who dies without leaving a valid will or another determination of how his or her property is to be distributed upon their death. Invalid: Not legally or factually valid. IRA: Individual Retirement Accounts under Internal Revenue Service regulations. Irrevocable: Impossible to retract or revoke. Joint Tenancy: Joint ownership of property under which the surviving owner automatically owns the deceased owner’s share. This is called the right of survivorship. May be abbreviated as JTWROS or joint tenancy with right of survivorship. Joint Tenancy with Right of Survivorship: See joint tenancy. JTWROS: Joint tenancy with right of survivorship. See joint tenancy. Jurisdiction: The right and power to interpret and apply the law. The territorial range of authority or control. KEOGH: A form of retirement account. Legacy: A gift of personal property in a will. Now, gift is the appropriate usage for either a gift of real estate or personal property. Synonymous with bequest. Legal Age of Minority: The legal age above which a person may legally enter into contracts and otherwise act in the legal capacity of an adult. Letters of Administration: The court order that officially appoints a person to administer the estate of another. Letters Testamentary: The court order that officially appoints an executor named in a will as the person to administer the estate of the testator. Liabilities: Something for which a person is liable, such as a debt. Life Estate: Surviving spouse has the full use and enjoyment of any real estate for his or her entire life. Upon his or her death, property will pass automatically to person who has remaining share of estate. Recipient of a life estate cannot leave such property to anyone else. Limited Liability Company: A type of business structure where the liability of a firm’s owners are no more than what they have invested in the business. Living Trust: A form of revocable trust which becomes irrevocable upon the death of the grantor. Living Will: A document that can be used to state your desire that extraordinary life- support means not be used to artificially prolong your life in the event that you are stricken with a terminal illness or injury. Loans Payable: Loans for which a person owes money to another. Marital Property: Property which is considered owned by both spouses in a marriage, as opposed to property which is considered owned by each spouse separately. Also referred to as “community property” in those states which adhere to community property legal concepts. Minor Child: A child who is under the legal age of majority (generally 18 or 21 years old). Mortgage: A written statement of a debt owed for the purchase of real estate, under which the property is used as collateral. Net Worth: A person’s net value, determined by subtracting liabilities from assets. Notary Acknowledgment: A formal declaration made to authenticate a witness’s signature to ensure legal validity. Notary Public: A person legally empowered to witness and certify the validity of documents and to take affidavits and depositions. Notes Payable: Money owed to another based on a promissory note and that is due to be paid. Notes Receivable: Money owed from another based on a promissory note and that is due to be paid. Nuncupative: An oral will, usually made during a person’s last illness and later reduced to writing by another. No longer valid in most states. Obituary: A written statement regarding a person’s death, usually in a newspaper. Partnership: A contract between two or more competent persons for joining together their money, goods, labor, or skill, or any or all of them for the purpose of carrying on a legal trade, business, or adventure. Pass Under: Distributed under the terms of a will or clause. Payable-on-death Account: An account, generally a bank account, for which a beneficiary is chosen who will receive the proceeds of the account upon the death of the primary account holder. See bank trust account or Totten trust. Pension Plan: Any plan under which an employee will receive any benefits after the end of his or her employment. Per Capita: Equally; share and share alike. For example: if a gift is made to one’s descendants, per capita, and one has two children and two grandchildren, and one of the children dies, then the gift is divided equally between the surviving child and the two grandchildren. This amounts to one-third to the child and one-third to each grandchild. Per Stirpes: To share by representation. For example: if a gift is made to two children, per stirpes, and one should die but leave two grandchildren, the deceased child’s share is given to the two grandchildren in equal shares. This amounts then to one-half to the surviving child and one-fourth to each of the grandchildren. Personal Property: Movable property, as opposed to real estate property. Personal Representative: A person who is appointed to administer a deceased’s estate. Modern usage that replaces Executor and/or Administrator. Posthumous Child: A child born after the father’s death. Pour-over Will: A will under which a trust is the main beneficiary. Pretermitted Child: A child who is left nothing in a parent’s will and there is no intent shown to disinherit. Probate: The court proceeding to determine the validity of a will and, in general, the administration of the property that passes under the will. Promissory Note: A written promise to pay or repay a specified sum of money at a stated time or on demand. Proved: To have determined whether or not the document presented is actually the deceased’s will. Provision: A stipulation or qualification, especially a clause in a document or agreement. 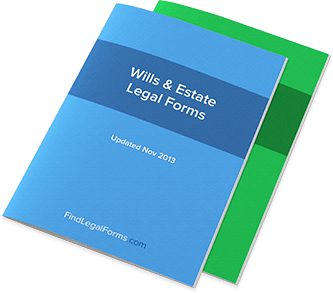 Publication: For a will, the statement by the testator that the document that is being signed is his or her will. Real Estate/Real Property: Land and that which is attached permanently to it, as opposed to personal property. Relative: A person who is related by blood or marriage to another. Residuary: The remainder of an estate after all debts, taxes, and gifts have been distributed. Residuary Clause: A clause in a will or trust that designates a beneficiary of the residuary of an estate. Residue: The remainder of a testator’s estate after all claims, debts, and bequests are satisfied. Revocable Trust: Another name for Living Trust. Upon death, a Living Trust becomes irrevocable and can no longer be changed or altered in any way. In general, however, any type of trust that can be revoked by the grantor. Revoke: To void or annul by withdrawing, or reversing. To entirely revoke a will, it must be physically destroyed or otherwise irrevocably damaged. Right of Survivorship: The right of a joint owner of property to automatically obtain ownership over another deceased owner’s share of the property. Generally true in a joint tenancy or a tenancy-by-the-entireties. Self-Proving Affidavit: A document that may be completed by witnesses attesting to the signing of a will by which they affirm that they did indeed witness the signing. This affidavit may then be used later in a probate proceeding to prove the signing without the necessity of calling the witnesses to testify in person at the probate court. Separate Property: The property of a spouse in a community property or common-law state that is considered the solely-owned property of that spouse, generally property that is solely owned prior to the marriage and any property that is obtained by gift or inheritance during the marriage. Shared Property: The property of a spouse in a community property or common-law state that is considered property of both spouses jointly. In community property states, this would be all property that is not separate property. In common-law property states, this would be all property that is not separate property and which is actually held in some form of joint ownership, such as tenants-in-common or as a joint tenancy. Signature: One’s name as written by oneself. The act of signing one’s name. Signing: To affix one’s signature to. Sole Proprietorship: A business that is owned by one owner and is not a corporation or limited liability company. Sound Mind: A legal term that refers to the testator’s ability to understand what gifts you are making and who your chosen beneficiaries are. Spouse: A marriage partner; a husband or wife. Spouse’s Share: See statutory share. Spouse’s Right of Election: Surviving spouse has a right to a certain share of the deceased spouse’s estate. This right is regardless of any provisions in the will of the deceased spouse that may give the surviving spouse less than this “statutory” or “com- munity” property share. Occurs in all states. Statutory Share: In common-law states, that portion of a person’s property that a spouse is entitled to by law, regardless of any provisions in a will. In community property states, a surviving spouse receives half of all of the community property, regardless of any provisions in a will. Successor Trustee: The person who is chosen to manage and distribute trust assets upon either the incapacitation or death of the original trustee of the trust. Supplemental Will: Will used to supplement a living trust. Not a pour-over will. Surviving: To outlive; to outlast; as, to survive a person or an event. Survivorship Clause: A clause in a trust or will which provides that a beneficiary must outlive the decedent by a certain period of time in order to be considered a rightful beneficiary. Tenancy-by-the-entirety: A form of joint tenancy that is only allowed for husbands and wives in certain states. Tenancy-in-common: A form of joint ownership under which each owner owns a certain specific share of the property (perhaps one-half or another fraction). Upon the death of a co-owner, the deceased co-owner’s share is passed to the heirs or beneficiaries of that co-owner, not to the other surviving co-owner(s). Compare to joint tenancy. Testamentary: The expression of intent to dispose of property by will. Testator/Testratrix: A male or female who makes a will. Totten Trust: A type of payable-on-death account at a financial institution that allows a person to name a beneficiary. Similar to a joint account, but the joint co-owner has no rights until the death of the creator of the account. Also known as a bank trust ac- count. Transfer Documents: Any documents that may be necessary to formalize the change in ownership of property, such as a deed in the case of real estate, or a title in the case of a motor vehicle. Trust: In general, an arrangement created by one party, the grantor, under which property is held by another party, the trustee, for the benefit of yet another party, the beneficiary. Under a Living Trust, one person may initially be all three of these parties. Trust Estate: The assets that have been transferred into a trust by a grantor. Trustee: A person appointed to administer a trust. In a Living Trust, the trustee and the grantor may be the same person. Vacant Land: Real estate on which there are no buildings present. Vacation House: Real estate that is owned for the purpose of being used for the owner’s vacations. Validity: The quality of having legal force or effectiveness. Voiding: To make void or of no validity; invalidate. Will: A formally-signed and witnessed document by which a person makes a disposition of his or her property to take effect upon his or her death. Witness: A person who is present and sees another person sign a document.